Dental veneers are custom-made shells that cover the front surface of teeth. These can improve your appearance as they are properly bonded with the front teeth’s size, length, color, and shape. They are often made from resin composite materials or porcelain. Both have their own advantages but, porcelain veneers tend to resist stains better and look more like natural teeth because of the way they reflect light. Dental veneers can be installed in 3 steps. Planning: In this step, the dentist examines the condition of your teeth and asks about the vision you have for your teeth. This can involve X-rays to properly narrow down the impressions of your teeth and mouth. Preparation: Dentists need to remove around half millimeter enamel from the tooth surface. This will make space for the veneer to be installed. After giving you some local anesthesia, the dentist will make a model or impression of your teeth which acts as a mould for your veneers. Bonding: First, the dentist will examine whether the size and color of the veneer are perfect for your teeth. Changes can be made according to your teeth color shade and size by trimming the veneer or adjusting the use of cement. After cleaning, polishing and roughening the tooth, a special cement and light are used to apply the veneer to the tooth. Final adjustments are made as necessary after evaluation. Veneers have a natural tooth appearance which makes your teeth look better. If you get porcelain veneers than they will resist stains and can make darker teeth appear to be whiter. They are less invasive as they don’t require extensive shaping like crowns do. They are also stronger and look better than crowns do. They are also pretty long lasting, as they can last up to 7 to 14 years based upon your oral health. They aren’t reversible and your teeth may end up becoming more sensitive to temperatures as the enamel is removed. They also can’t be repaired in case they crack or chip and are more costly then procedures like composite resin bonding. 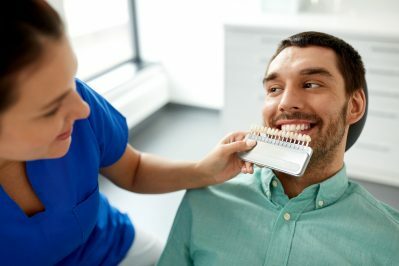 If you have unhealthy teeth, weakened teeth, inadequate enamel, or bad habits like grinding or clenching teeth, then you aren’t suitable for veneers. There isn’t much you need to do except maintain good oral hygiene to prevent problems. 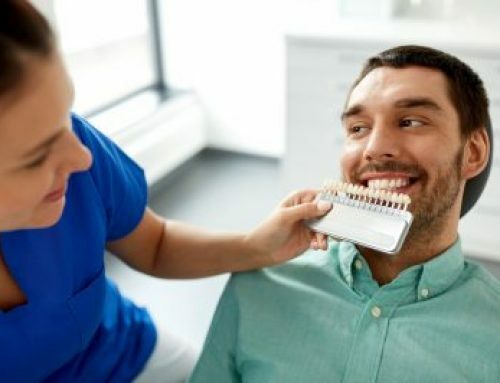 Dentists suggest keeping up with daily brushing and flossing. They may also recommend an antiseptic mouthwash to rinse with daily to keep away infections. In some cases, dentists can also recommend avoiding excess stain-causing beverages and foods like red wine, coffee, and teeth. For more information about veneers, give HPS Dental a call. We can be reached at (248) 652-0024. We hope to hear from you soon!